When it comes to important questions in life, “Will you marry me?” tends to take the cake. If you’re considering popping this all-important question, there are a few things you should consider first. 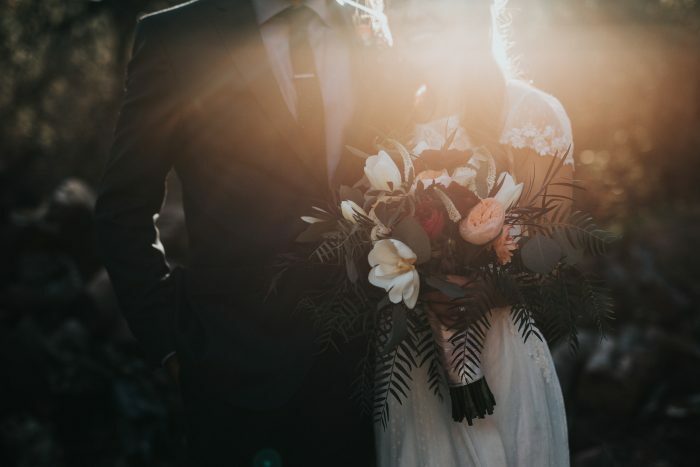 To help you start your life of wedded bliss out on the right foot, then, we’re breaking down three things to do before you get on one knee. Read on for our top tips. Listen—this one may sound like a no-brainer, but if you’ve ever witnessed a proposal gone awry (we have once in a TGIFridays of all places, but that’s a story for another time) you know there’s nothing worse…or more awkward. While you may want the proposal itself to be a surprise, you certainly don’t want the idea that you two could one day be married to come as a surprise. Make sure marriage is something you’ve talked about—preferably more than once—and understand the importance of timing. If your partner has made it clear she or he wants to accomplish certain things before they’d ever even consider marriage, proposing prematurely can feel like a slap in the face (and like you haven’t listened to or respected their wishes very well). No matter how excited you may be about proposing, it takes two to tango—be confident your partner is on the same page before you pop the question. 2. Start saving for a ring. Once you’re sure you want to propose and are confident your partner will accept, the next step is perhaps the biggest of them all—saving for a ring. Start by figuring out what kind of ring your partner wants. You should have a clear idea of their preferred cut, setting, and metal. Then, know how much you should spend on an engagement ring and set a clear, realistic budget. From there, set a goal and save, save, save. If you’re on a tight timeline (if you want to propose to your partner on an upcoming vacation or a specific holiday or date, for example) make sure you pad your savings plan a bit. From health problems to car issues to homeowner woes, life has a knack for throwing unexpected financial hurdles at us at the most inopportune times—so saving for an engagement ring might take longer than you originally expected. 3. Have a conversation with the people who matter. Ready to move onto the next step? Read all about how to find and plan a unique proposal idea.